Arthur Ashe stood in the beaming Fort Worth, Texas, sun near a sign that read “For Members Only” as he waited to receive his trophy for winning the Colonial National Invitational Tournament men’s singles event. Ashe defeated the world’s No. 2 player, Australia’s Fred Stolle, in straight sets on Sept. 19, 1965. The 22-year-old also teamed with Ham Richardson to beat Stolle and his compatriot, Roy Emerson, in the men’s doubles championship in three sets. This was the first tournament in the South that Ashe participated in by himself, and it had him on edge. Ashe, known for his easygoing nature and coolness, was anything but as he stood in front of that lily-white crowd. He spent the tournament surrounded by people who had the same deep Southern accents as the ones who used to torment him in his native Prince Edward County in Virginia. As the crowd applauded, Ashe thought to himself, “I wonder if these tennis people are being nice to me as a favor or nice because I appeal to them as a person?” he told the Chicago Tribune in a Dec. 1, 1968, profile. But there were a number of people rooting for Ashe, who he knew were genuinely excited to see him succeed on the court. It was this experience and more that led to Ashe’s response when approached by Davis Cup captain Donald Dell and his friend John Harris about forming an Association of Tennis Professionals tournament in Washington, D.C. If he could play in front of an integrated crowd and get “black faces to come out and watch the tennis,” Ashe told the pair, he would play in the tournament. Those early conversations helped lead to the creation of what is now the Citi Open and its placement in the nation’s capital at Rock Creek Park. “In those years, most people lived in the city,” said Ashe’s childhood doubles partner, Willis Thomas Jr. “He was able to reach a lot of people that generally would not have seen a tournament before. After The Washington Post declined to host the new event, Dell and Harris found an interested party in the Washington Star, leading to the establishment of the Evening Star International Championships. Washington Area Tennis Patrons Foundation, which was created in December 1955 to foster tennis interest among the area’s youths at no cost to them, owned the first tournament. The championships took place from July 7-13, 1969, with a $25,000 purse and featured members of the Davis Cup team and other international players. The co-founders gave the Washington Tennis & Education Foundation, formerly the Washington Area Tennis Patrons Foundation, the sanction to hold the tournament in 1972. After years of playing in front of white fans and at tennis clubs that wouldn’t even consider Ashe for membership, Dell and Harris, who is Jewish and understood not being considered for country club membership, went to work finding a public site in a racially mixed neighborhood. The trio didn’t know this then, but D.C. was on the verge of becoming “Chocolate City,” the first black major city (peaking at 71 percent in 1970) in the United States. On July 13, 1969, white and black tennis fans turned out to see Ashe face off against Brazilian Thomaz Koch in the inaugural Washington Star International singles championship. On that 91-degree day, Ashe chewed crushed ice to persevere through the sweltering and humid temperatures, while Koch picked leaves off a tree, soaked them and placed them under his headband to keep cool. Ultimately, Koch bested Ashe in the only five-set men’s singles final in tournament history. Tricia Nixon, President Richard Nixon’s daughter, presented Koch with a green jacket. Of the 11 times Ashe played in the tournament, he won it only once, in 1973. But Thomas told The Washington Post in 2015 that Ashe’s presence created the impact he wanted to see when he helped bring a pro tournament to D.C. The WTEF runs the Arthur Ashe Children’s Program (AACP) in 16 Washington, D.C., elementary and middle schools in “under-resourced neighborhoods.” Both the WTEF and AACP offices are located at 16th and Kennedy streets Northwest in Washington, D.C. 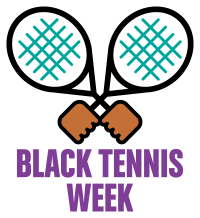 This Story Tagged: Arthur Ashe Black Tennis Week Citi Open Donald Dell John Harris Washington, D.C.